Cross Motor Engineering provides tyres from all the leading brands including Pirelli, Michelin, Continental, Bridgestone, Goodyear, Dunlop, Firestone as well as high quality budget brands. It is a requirement of UK law that your vehicle is fitted with the right size and type of tyre for the vehicle and the purpose for which it is used. Tyres should also be inflated to the manufacturers recommended pressure, accounting for load and road conditions. The legal limit for tread depth is 1.6mm going across the central ¾ of the tread and around the entire circumference of the tyre. For safety reasons, leading motoring organisations recommend that tyres be replaced at 2mm with some manufacturers recommending 3mm or more. Tyres pressures and tread depth should be checked regularly including the pressure of the spare wheel. You should also inspect tyres regularly for signs of damage, uneven wear, splits or cracks. 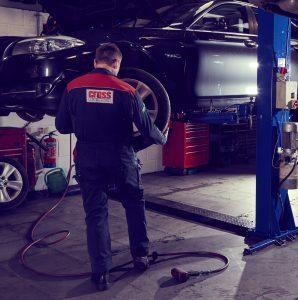 If you are concerned about the condition of your tyres, or if you have been involved in a collision or kerb impact pop into the garage and one of our team will be happy to take a look for you. When it comes to choosing and replacing tyres we know our customers want a good quality, value for money product with the convenience of having them both supplied and fitted in one transaction. 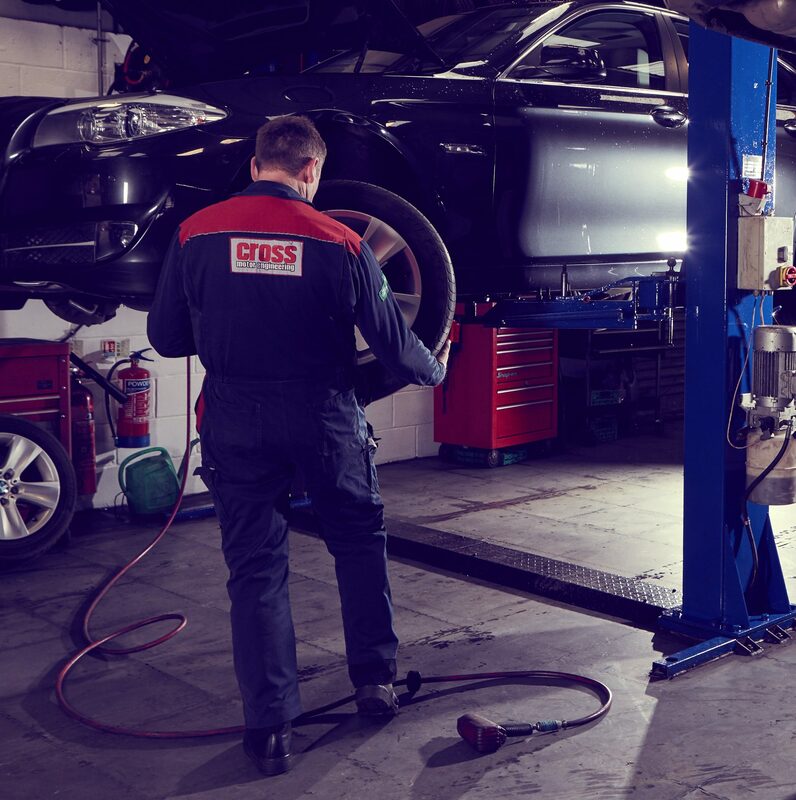 At Cross Motor Engineering we supply and fit a wide range of tyres from different brands so if you’re unsure exactly what you need, then don’t hesitate to ask. Our specialist team will be able to guide you through the variety of tyre choices that are available and make sure you get the best tyre and the best deal for your needs. Whether you’re looking for run flat tyres, taxi tyres, caravan tyres or tyres for your commercial vehicle, we can help. Contact us now to discuss your requirements.